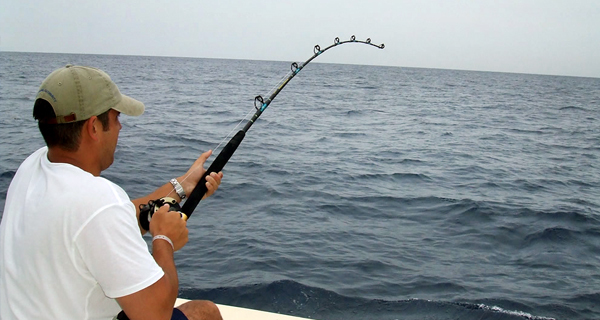 The Western Caribbean offer anglers ample opportunities for light tackle angling. With a massive barrier reef system, mangrove inlets, and coastal flats, this area is a light tackle fisherman's ideal destination. If you are visiting locations along the coast of the Yucatan Peninsula like Playa del Carmen, Cancun, Riviera Maya, and Cozumel, you don't want to miss your opportunity to try your hand at light tackle fishing along the second largest reef system on the planet. The deeper waters that flow offshore draw plenty of great sport fish to the reefs and scattered wrecks. You'll discover an array of exciting species like snapper, jacks, sharks, wahoo, grouper, barracuda, and even more species, depending on the season. The saltwater flats and vast stretches of mangrove forests provide structure for a variety of sport fish, depending on the season. Some great inshore species that can be caught along the shores of the western Caribbean include tarpon, permit, and bonefish. If you are interested in chasing down the ultimate ocean predators, our experienced local captains know how to entice sharks towards the boat. There is a great variety of these toothy hunters in the waters off the Yucatan. Light tackle angling is especially entertaining because of the continuous bent-rod action it provides for participants. It is an excellent method for inexperienced anglers because it involves brief inshore trips and ample action. Children really love the continuous activity associated with light tackle angling. Our bilingual angling guides will be pleased to provide instruction and tips for novice anglers. No matter what time of year you visit Cancun, Playa Del Carmen, or Riviera Maya, you can enjoy a fabulous fishing charter in the Caribbean aboard our thirty-four-foot Phoenix sportfisher, the Chutzpah, with our knowledgeable captain as your guide. Great game species are available in these waters all year round. Join our accommodating crew aboard or latest addition to our charter fishing fleet, the forty-six-foot luxury vessel, the Cayman. If you are looking to charter a top-of-the-line craft for your fishing party, look no further than our new Sea Ray Sundancer. If you are looking for a fishing charter yacht with all the amenities and a top-notch tourney tested captain, then the Southern Eagle, a thirty-three-foot Hatteras, is the vessel for you. 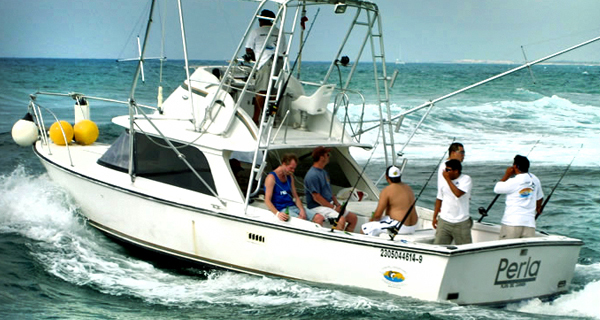 Captain Martin Uicab possesses the extensive experience in the local waters off the Yucatan Peninsula. If you are looking for an exhilarating fishing adventure while vacationing in the Yucatan region, dont miss your chance to head into the abundant waters of the Caribbean Sea with Captain Chico aboard Aventuras, a thirty-three-foot Bertram vessel. The regional waters are home to a spectacular variety of game-fish species. If you are planning a vacation to Cancun, Playa Del Carmen, or Riviera Maya, do not miss your chance to fish in the plentiful fishing waters of the Caribbean Sea aboard our 34-foot Phoenix sport-fisher, the Chutzpah Too. 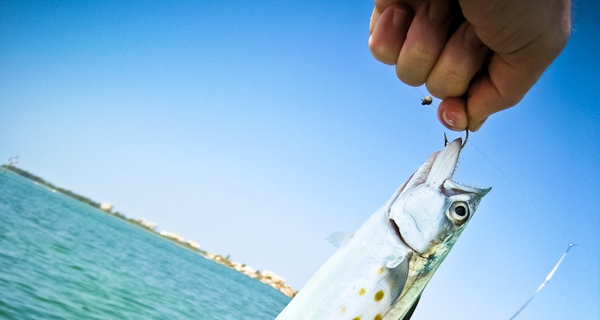 Our expert fishing guide will transport you to the prime angling spots in the region. Join Captain Mario and the friendly crew of the Comocean, a thirty four foot Phoenix sport cruiser, for an exciting angling excursion on the beautiful and abundant western Caribbean Sea. 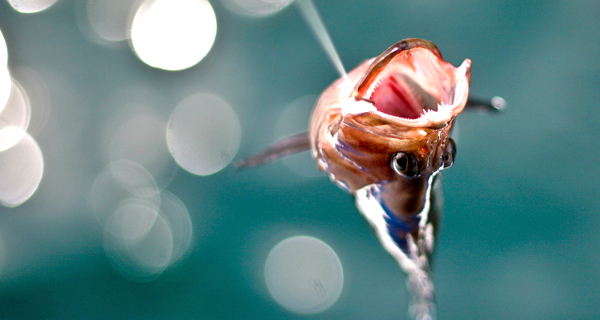 This region offers anglers a wide array of feisty game-fish species throughout the year. If you've ever dreamt of catching that trophy-sized Blue Marlin or Black-fin Tuna while trolling across the turquoise waters of the Caribbean Sea, join Captain Licho aboard our 33-foot Bertram charter craft, the Dream Catcher, for an unforgettable excursion off the Yucatan Peninsula. A fishing expedition with Captain Felipe aboard our 31-foot Phoenix sport-fishing vessel will be sure to make you smile. After you hook that first trophy fish in the abundant waters of the Western Caribbean, you will understand why we've dubbed this craft the Happy Face. If you would like to enjoy some excellent sportfishing in the abundant waters off Cancun and the Yucatan, and would like an economical option, our 30-foot Crusader yacht, La Risa, will be perfect for you and up to five friends. World-class deep sea fishing awaits you in the Caribbean. It may seem like magic when you continually reel in fish after trophy fish while trolling with Captain Roberto Vargas aboard the thirty-eight-foot Bertram yacht, the Reel Magic, on the bountiful waters off the shores of Cancun. This charter will be the highlight of your Mexican vacation. Join our wily bilingual captain, Felipe Espinosa, for a great day of charter fishing in the Caribbean Sea aboard our thirty-four foot Phoenix sport-cruiser, the Sea Fox. Chase down some fantastic offshore species like Blue Marlin, Sailfish, White Marlin, Wahoo, Dorado, and Blackfins with our savvy fishing guide, Felipe. If you are planning a vacation to Cancun, Playa Del Carmen, Riviera Maya, or anywhere else on the Yucatan coast, make sure to venture into some of the finest fishing waters on the planet, the Caribbean Sea. Join our charter fishing professionals aboard the thirty-one-foot Perla for an exhilarating expedition on the spectacular waters of the Caribbean Sea. A fantastic array of sport-fish inhabits the waters near Cancun, Riviera Maya, Cozumel and Playa Del Carmen.